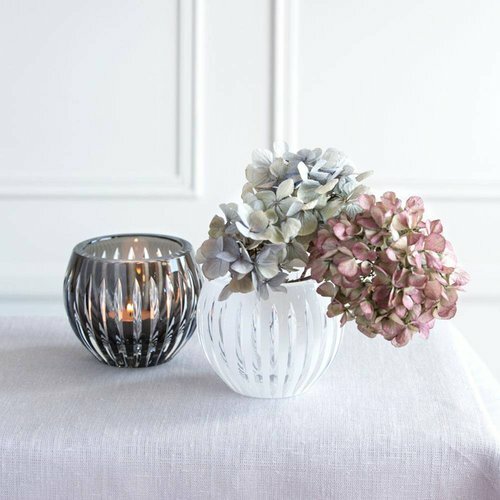 “Those who find beautiful meanings in beautiful things are the cultivated. 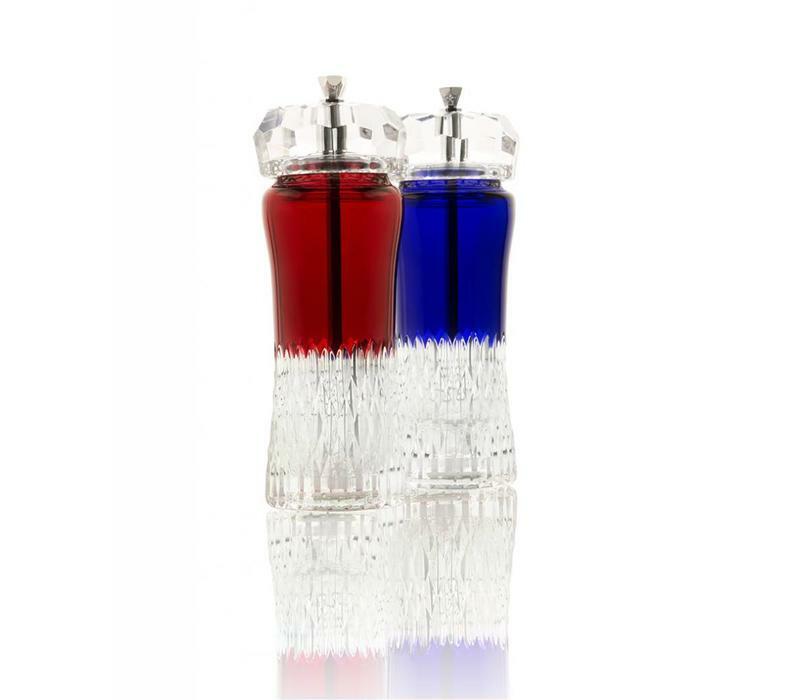 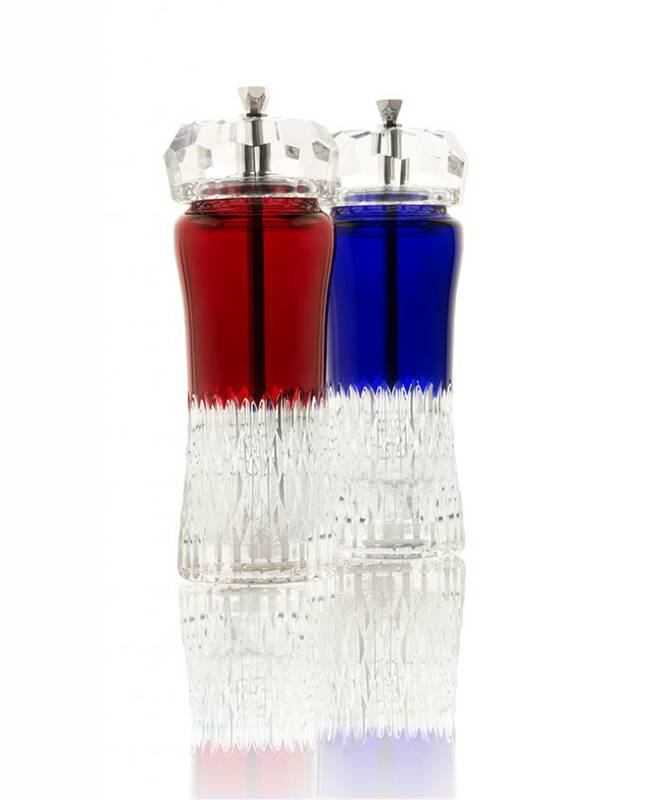 For those there is hope”- Oscar Wilde Salt & Pepper Grinders in ruby and royal blue mouth blown, hand cut, over 24% lead crystal with a hallmarked sterling silver top and engraved G logo hand made in Scotland. 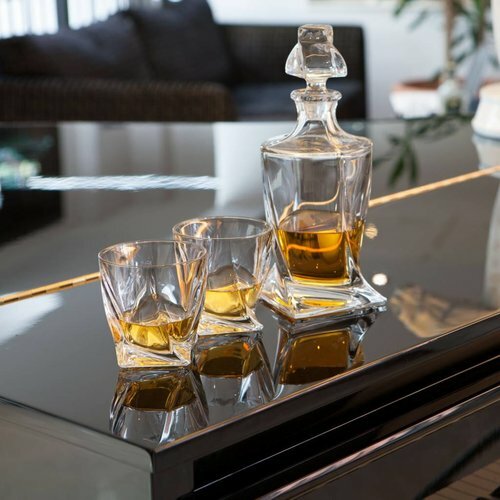 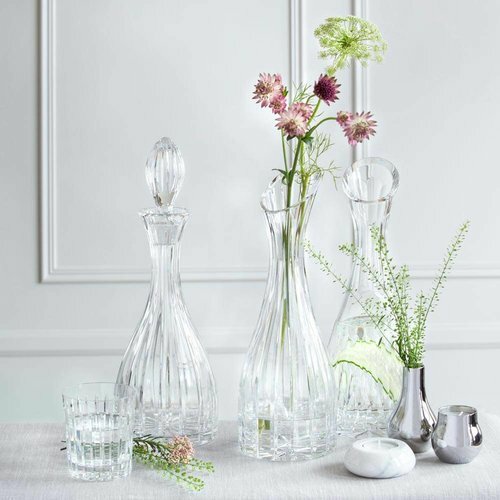 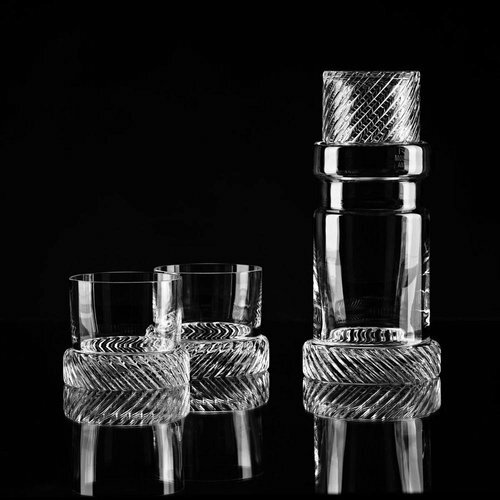 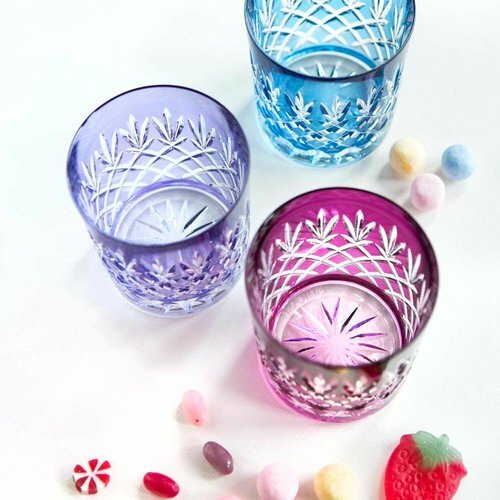 Designed by Gurasu in collaborations with an award-winning silversmith and jeweller, Hamish Dabbie handmade by the best crystal craftsmen to enrich luxurious experience of dining or the most special giftware.